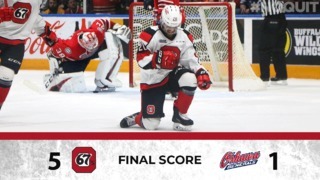 The Ottawa 67’s closed out a stretch of three games in three days with a 6-3 loss to the Peterborough Petes on Sunday afternoon. The Petes struck three times in the opening period as Liam Kirk, Nick Robertson and Adam Timleck all scored for the hosts. 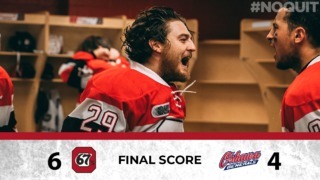 Kirk’s second of the game in the second period made it 4-0 seemed to ignite Ottawa, as Jack Quinn and Tye Felhaber responded soon after to cut the deficit in half. Quinn would add his second of the period a few minutes later to pull Ottawa to within one. 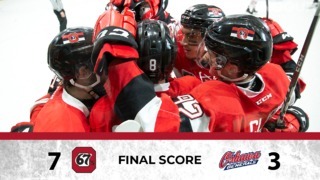 The 67’s are back in action on December 28 as they return home to host to the Niagara IceDogs in a rare Friday 2 p.m. matinee.